As a Hyundai owner, you have done your research. You have made a conscious decision to own a vehicle that is environmentally friendly and excels in performance. 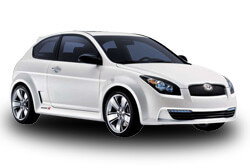 We know you will put in the same effort and consideration when choosing your Hyundai auto repair and maintenance shop. At Hollin Hall Automotive, our ASE Certified technicians have the experience and training to keep your Hyundai running properly. We have the necessary diagnostic tools for Hyundai maintenance services and are proud to be your Hyundai dealer alternative. We make sure your Hyundai continues to run smoothly so you can continue to save money on fuel and have a positive impact on the environment.